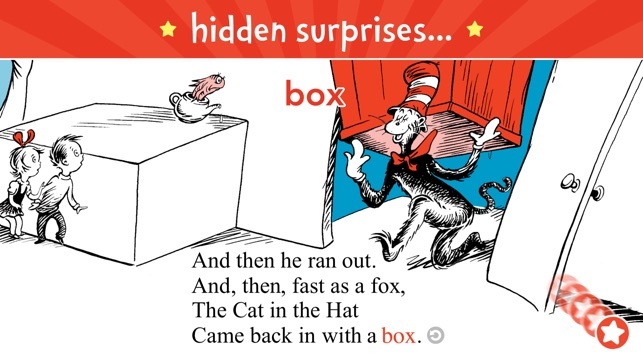 Bring back swipe anywhere page turns. Hitting a small button at the top of the iPad is the worst for one handed reading. I didn’t know what to expect, how can you improve on this classic? But, Wow! This is so smart and easy to use. 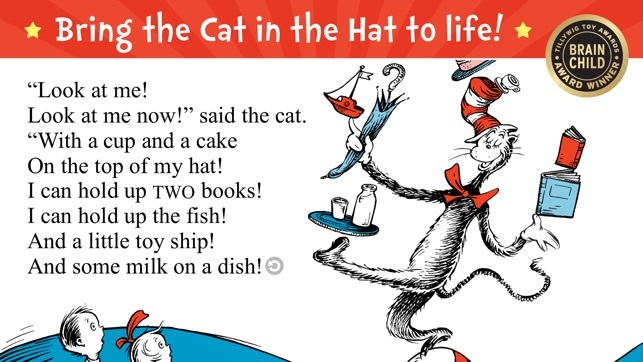 What I love most it is hasn’t taken away from the old fashion Dr. Seuss charm while making it as modern and relevant as any cutting edge app out there. I think I love it as much as my kids do! 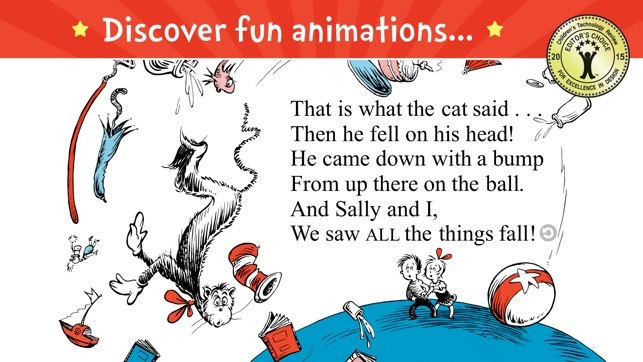 The pages are alive with animation and sounds. 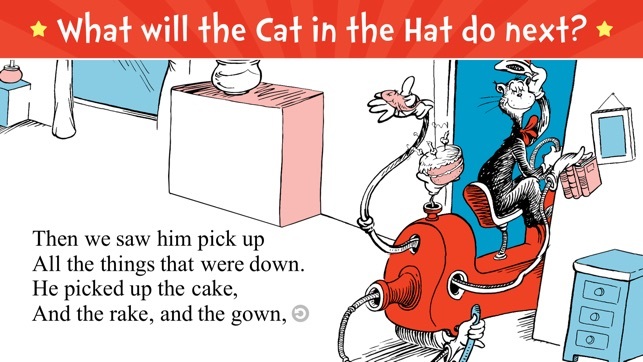 My kids love exploring every page to see what the Cat or the silly Things will do. 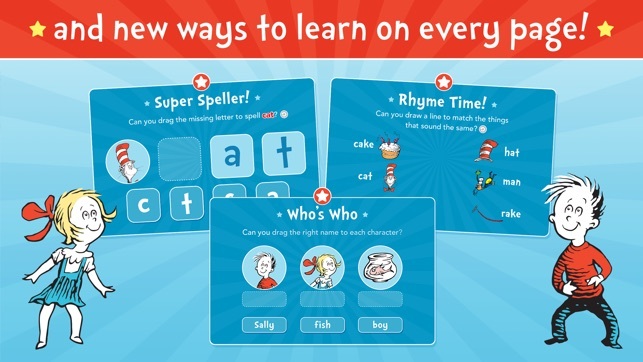 Completing special learning activities (spelling, rhyming, etc.) on every page helps me know my children are improving their reading skills.